I roam the empty oceans pounding up over rocks, I make streams pour down peoples faces but some people like to ride me. What am I? 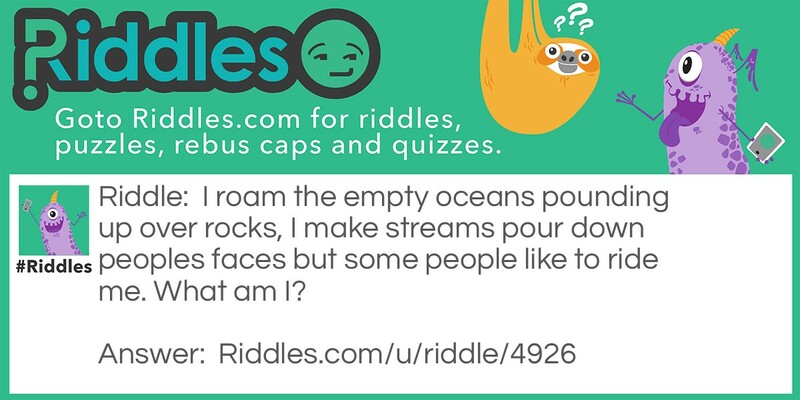 ocean roamer Riddle Meme with riddle and answer page link.